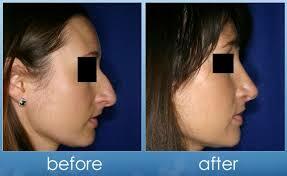 Rhinoplasty-Craniofacial Cochin - The Comprehensive Solution for all Craniofacial Problems. 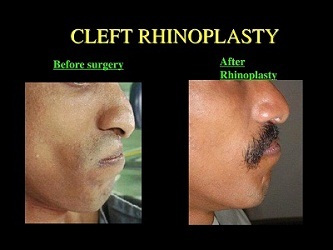 The splint and bandaging around your nose will be removed in about a week. Your face will feel puffy and the area around your eyes and nose will be bruised and swollen for several days. Cold compresses can help minimize the swelling and reduce pain. Your doctor may also recommend pain medicine. It takes about 10 to 14 days before most of the swelling and bruising improves. You may need to keep your head elevated and relatively still for the first few days after surgery. It may be several weeks before you can return to strenuous activities.